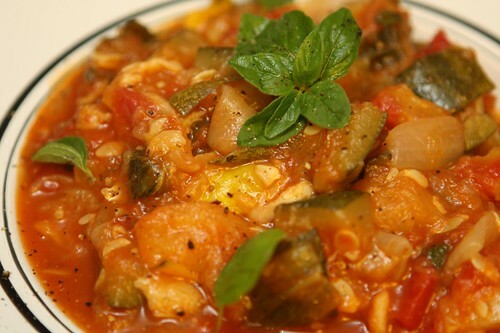 Every summer my mother would make a delicious stew with some zucchini from the garden. Generally this would usually be at the end of the summer and from one zucchini the size of two footballs. The zucchini we got this week were enormous considering how early it is in the season but still large enough to make a great deal of this delicious dish. I seem to remember this being the first vegetable dish that I actually liked. Up until then I largely despised any and all vegetables. I distrusted them as if they'd swindled me out of money as a baby. I'm not exactly sure where this hatred came from. I just remember the look on my parents' face the first time I voluntarily ate a tomato. 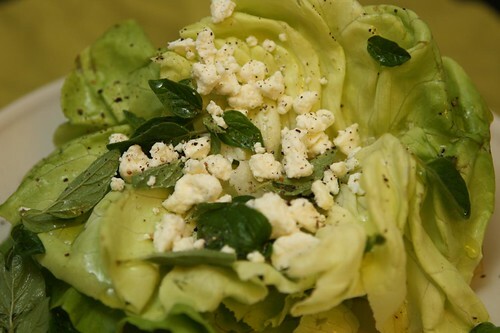 First I had to use the remaining buttercrunch lettuce along with some lemon, oregano, and feta for a first course. It would have been easy to keep this meal vegan but that would have done anything to clean out the fridge now would it? 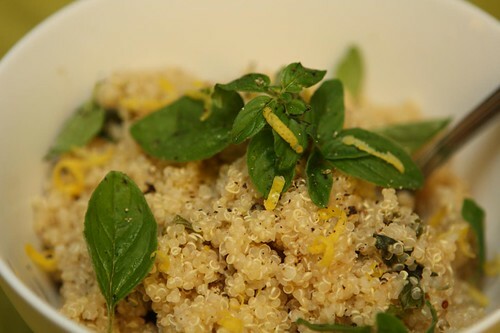 I used much of the same ingredients to make this quinoa with lemon, oregano, salt, and pepper. Jen had put in a special request days ago for a base to this stew and she seemed to be pretty hot on quinoa. I cooked down some Vidalia onion and crushed garlic cloves along with all the summer squash we got this week. There was a small amount of shabby white wine in the fridge that I also threw into the pan along with a little salt, pepper, and tomato before and added who oregano leaves just before serving. 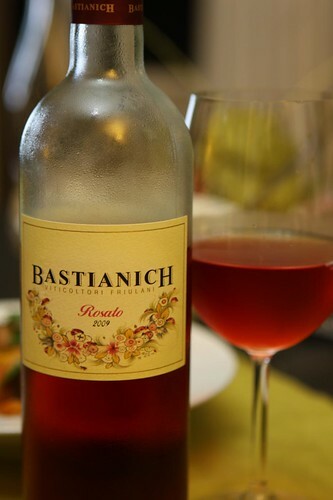 Since we didn't have any lemon and oregano flavored beer in the fridge I opened this Rosato form Bastianich which I'm pretty sure we've had before. Jen picked it up at Tarry Market last week to beef up our suffering wine collection.